God knows the hearts and minds of each and every one of us,and if we choose to rely on ourselves and leave God out of our life He is well aware of it!Asa found out first hand when the seer came to him and said it was not good how he relied on the king of Syria and not on the Lord his God! (2 Chronicles 16:7-9), 7 And at that time Hanani the seer came to Asa king of Judah, and said unto him, Because thou hast relied on the king of Syria, and not relied on the Lord thy God, therefore is the host of the king of Syria escaped out of thine hand.8 Were not the Ethiopians and the Lubims a huge host, with very many chariots and horsemen? yet, because thou didst rely on the Lord, he delivered them into thine hand.9 For the eyes of the Lord run to and fro throughout the whole earth, to shew himself strong in the behalf of them whose heart is perfect toward him. Herein thou hast done foolishly: therefore from henceforth thou shalt have wars. (Jeremiah 17:5-10). We are instructed to submit ourselves unto God,and if we draw near to Him then He will draw near to us! (James 4:7-10). 7 Submit yourselves therefore to God. Resist the devil, and he will flee from you.8 Draw nigh to God, and he will draw nigh to you. Cleanse your hands, ye sinners; and purify your hearts, ye double minded.9 Be afflicted, and mourn, and weep: let your laughter be turned to mourning, and your joy to heaviness.10 Humble yourselves in the sight of the Lord, and he shall lift you up. 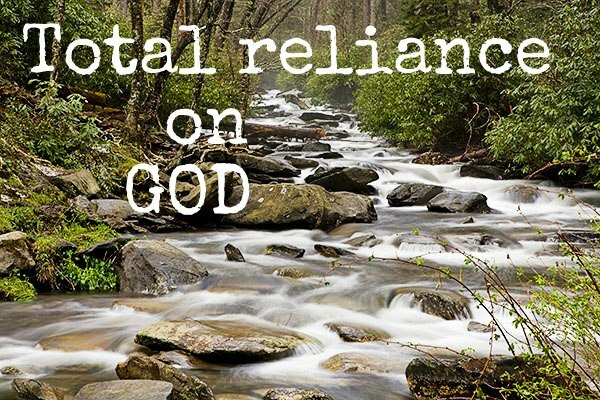 When we follow that which is good,it doesn’t take long to see our adversaries become multiplied who have chosen not the way of the Lord.Therefore total reliance on God is our true hope and help! (Psalm 38:15-22). 15 For in thee, O Lord, do I hope: thou wilt hear, O Lord my God.16 For I said, Hear me, lest otherwise they should rejoice over me: when my foot slippeth, they magnify themselves against me.17 For I am ready to halt, and my sorrow is continually before me.18 For I will declare mine iniquity; I will be sorry for my sin.19 But mine enemies are lively, and they are strong: and they that hate me wrongfully are multiplied.20 They also that render evil for good are mine adversaries; because I follow the thing that good is.21 Forsake me not, O Lord: O my God, be not far from me.22 Make haste to help me, O Lord my salvation.